As live video streaming becomes more ubiquitous in our daily lives, more people than ever are trying out broadcasting. And this means that live streaming newbies are learning to deal with the technical issues inherent to stream live video. Don’t misunderstand—it’s pretty darn easy to create a high-quality live stream today, but it does take a little know-how and experience to get started. One such technical topic that’s integral to live broadcasts is live stream encoding software and the encoding process. 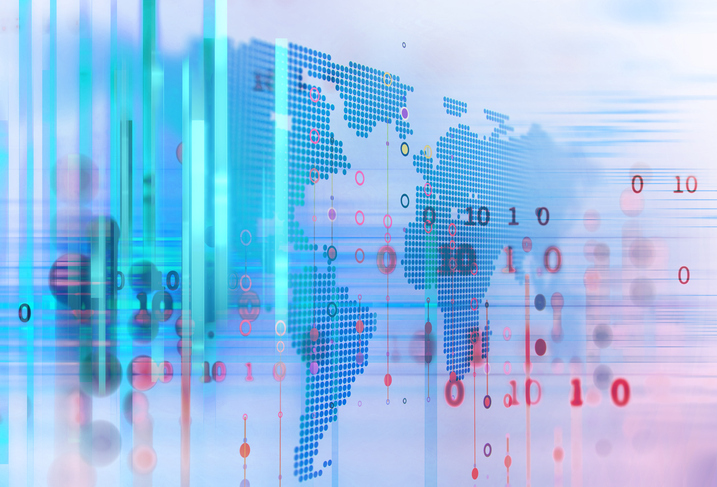 Simply put, encoders allow you to transmit your video content to your viewers on their devices, wherever they may be in the world. Research shows that 67% of viewers rank quality as the most important factor in a live stream. As a broadcaster, one way to ensure high-quality content for your viewers is to choose the best OBS Studio settings before you go live. In this blog, we’ll take a look at the best OBS Studio settings for live streaming. First, we’ll review what OBS Studio encoding software is in the first place. Once we understand the software basics, we’ll walk you through the ideal encoder settings for your broadcasts. Any live stream requires either a software or hardware encoder. This equipment works to encode a live video feed into the correct format for streaming to your OVP (Online Video Platform). One widely used option is OBS (Open Broadcaster Software) Studio. This open-source application allows you to capture and stream live video from any Mac, Windows, or Linux computer. OBS Studio has many great features for entry-level live streaming. These include the ability to mix multiple sources with custom transitions, use audio/video filters and correction tools, and access a few other tricks. For DaCast users, OBS Studio is especially easy to use. We offer a customized version of OBS Studio that includes DaCast as one of the default streaming services. This gives our broadcasts an even more automated setup to start streaming live. To access this version, log in to your DaCast account and click the “Encoder Setup” tab. You’ll find a download link there. 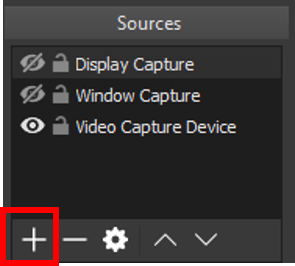 First, open the OBS Studio settings by clicking the Settings button in the bottom-right area of the application window. The first tab, labeled General, doesn’t have anything too critical to review. Here, you can choose your language and select a light or dark theme. Note that the check boxes may be important, however. Check both boxes to avoid accidentally starting or stopping your stream before you’re ready. Now, click on the next tab in the OBS Studio settings window, labeled Stream. At this point, you’ll connect to the DaCast service. For the Stream Type, you should see “DaCast streaming as a service” by default; if not, please select it. Next, you need to enter your DaCast OBS encoder key. You can locate this key in your DaCast account. Go to your preferences section, and then go to “encoder keys”. Copy-paste your DaCast OBS Studio key into your OBS Studio live encoding software. Next, click on “refresh channel list.” Your live channels should appear in the channel list. Select the live channel you want to use for your live broadcast, and that’s all you need to do! If you’re using the default version of OBS Studio, select Custom Streaming Server from the drop-down menu. Then, go to your DaCast HTML5 live channel and select Encoder Setup from the menu. Take note of the Stream URL, name, backup URL, and a login and password (if you’re using an HTML5 channel). With this information, return to OBS Studio and enter these details into the text fields. Note that “Stream Key” in OBS Studio settings corresponds to “Stream name” in your DaCast channel. Make sure to select “use authentication” so you can enter the login and password of your live channel. 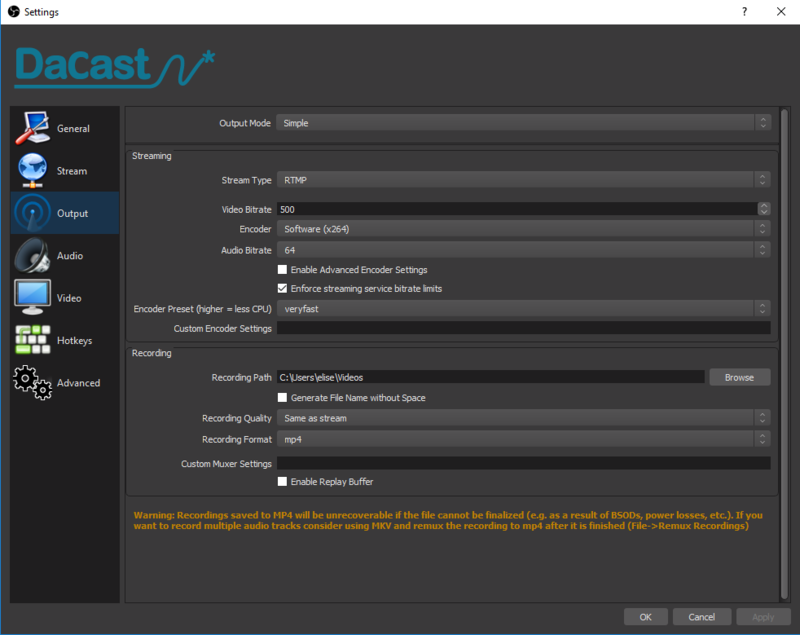 By default, the Output Mode is set as “simple.” The DaCast version of OBS Studio has been set up with the best OBS Studio settings for your live broadcast. When using this output mode, you just need to focus on the video bitrate and the audio bitrate. By default, the audio bitrate and the video bitrate will be in low definition. Of course, you can select a higher video quality if you choose. When doing so, please make sure that your internet speed connection is at least double your video + audio bitrates. For example, if your internet upload speed is 2000 Megabit per second, then your audio + video bitrates should not be higher than 1000 Megabit per second. To learn more about our recommended bitrate settings for various resolutions, check out this previous article. If you opt to select the “Advanced” output mode, you’ll have more options for the best OBS Studio setting. To ensure a quality stream, you may want to review the screenshot below. In particular, check that your output mode is “advanced,” the rate control is set as CBR, and the keyframe interval is equal to 2. We also recommend that you select an ultrafast CPU and the baseline profile. The other setting found on the Output OBS Studio settings page relates to recording your broadcast. This feature enables you to record the live stream to a local drive as you stream. If you haven’t set up an auto-archiving feature with your live streaming platform, we recommend enabling this setting. Use “Same as Stream” or “Indistinguishable Quality” for recording quality, “mp4” for recording format, and “x.264” for encoder. Hotkeys allow you to set up different scenes within your live stream encoding software. You can switch between the scenes during your live broacast. Choosing the right encoder settings can be confusing at first! But stick with it, and don’t be afraid to use these recommendations to get started. With a little experience, you’ll have no problem figuring it out. And with these recommended settings as your starting point, getting comfortable doing live streams should be straightforward–and even fun! 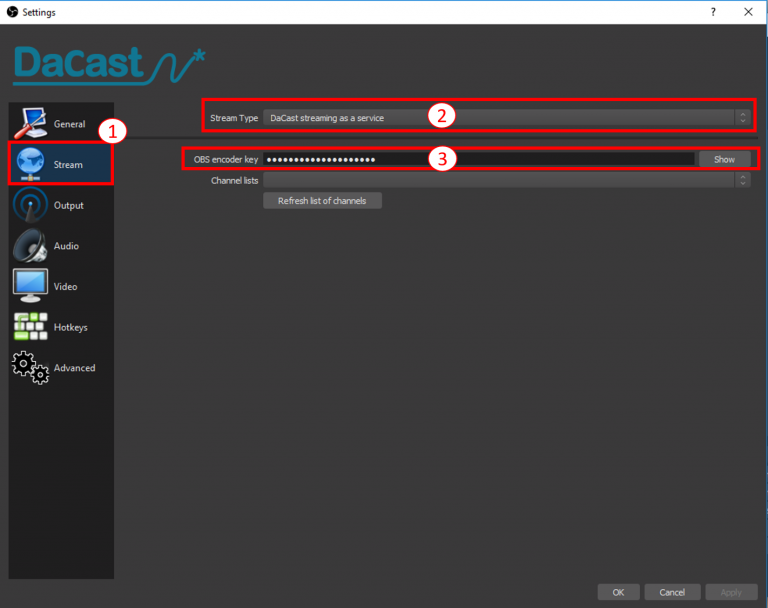 For additional details, you can always check our tutorial: How do I stream using DaCast OBS. Not yet using our streaming solutions, and ready to give our platform a try? Sign up below and enjoy all our features free for 30 days (no credit card required)! Thank you for these specific instructions.